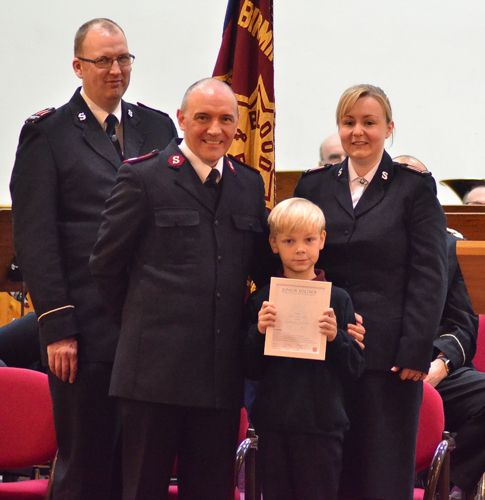 Oscar, aged 7, has been enrolled as the newest Junior Soldier(Member) of our church today. All our Junior Soldiers attend classes to learn about Jesus and then they decide if they want to be a Friend of Jesus and if they do we offer them to chance to be a Junior Soldier and make a public declaration that they are a follower of Jesus. Here is Oscar with Corps Officer Adrian Allman with Junior Soldier Sergeant Ruth Taylor and Edward Dixon holding the flag receiving his Commission.